The Scorpions have issued a preview of the documentary “Forever And A Day”, which will screen in select US cinemas starting on October 14. Filmmaker Katja von Garnier accompanied the group on what was originally intended to be their farewell tour, following them on the road from Bangkok to Moscow, to capture candid moments, memories and live footage. The Scorpions eventually changed their minds about retirement, returned to the studio to record a new album, “Return To Forever”, and hit the road for a 50th anniversary tour. "I think it'll be a really special film for our fans," says singer Klaus Meine. 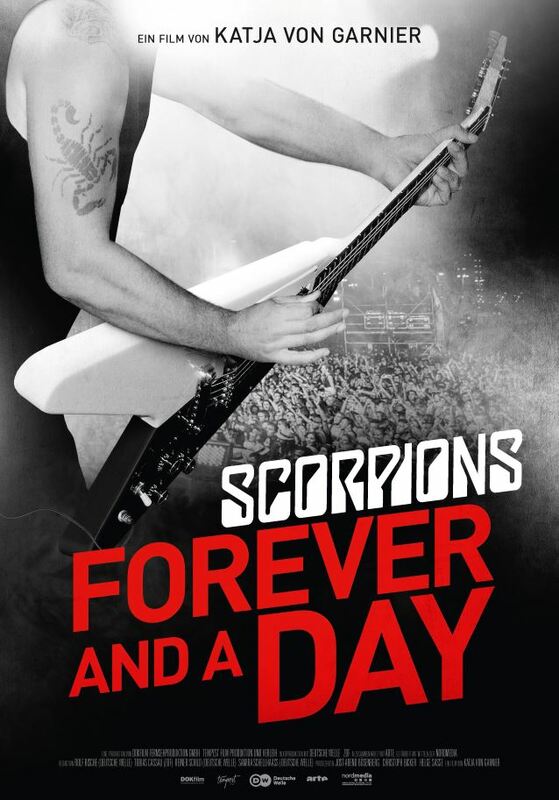 “Forever And A Day” ticket and screening information can be found at the band’s website. The Scorpions just wrapped up the North American leg of their 50th Anniversary Tour and will begin a series of European shows with a special club performance in Berlin, Germany on November 3. The event will see fans win tickets by voting on the group’s setlist via their website.